"Even in high season the vibe on this island is positively lazy. The sea just rolls in softly leaving those of us around it in a blissed-out trance. But the best part about this place? There�s a 2-mile stretch of gorgeous beach right at our doorstep. I�ve been waking up early, when the sun is low and warming, to go on runs down the near-empty beach. I love watching the world wake up to occupy their sun chairs and claim their little spot of paradise for the day". Phu Quoc - is the largest island of Vietnam in the extreme south in the Gulf of Thailand. It lies off the coast of Cambodia. Phu Quoc is also called the Emerald Island because of its natural treasures that can be found on the island. You'll find here the most beautiful beaches in Vietnam. The interior is pristine. The island is partly because of a National Park. 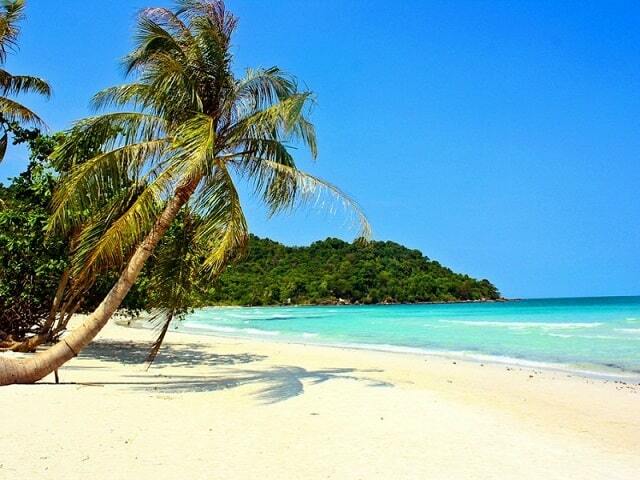 There are also 28 neighbouring smaller islands, which belong administratively to Phu Quoc. The island is only accessible by boat from Rach Gia, Ha Tien and Hon Chong and by plane. The capital of the island is situated on the west coast and hot Duong Dong. There is also Phu Quoc Airport. Phu Quoc is famous for its pearls, fish sauce and black pepper. Phu Quoc is famous for its beautiful beaches and many activities such as snorkelling, diving, bird watching, fishing, hiking in the National Park. On the island you can enjoy golf, safari zoo and there is even an amusement park! Phu Quoc focus is on the National Park, where you can enjoy and relax on marked trails. One of the best activity on Phu Quoc is also the cheapest: watch the sunset! You can also enjoy the great Vietnamese cuisine, or its historical prisons and visit temples. The best way to discover the island, with by motorbike. That's a good idea, because the roads are well paved and there is not much traffic. You can reach the deserted beaches, visit the local villages or you can spot wild monkeys. Phu Quoc Island has some interesting shopping opportunities for tourists, who spend some money to buy souvenirs, if they are on vacation. The best shopping can be found around the local markets in the villages of Duong Dong and An Thoi, but there are other options to consider. There are some items that are quite unique on Phu Quoc Island. There are a few shops in Duong Dong, who specialize in the sale of arts and crafts. Most of the products come from the mainland. These stores are still fairly new and sometimes offer their trade at discounted prices. 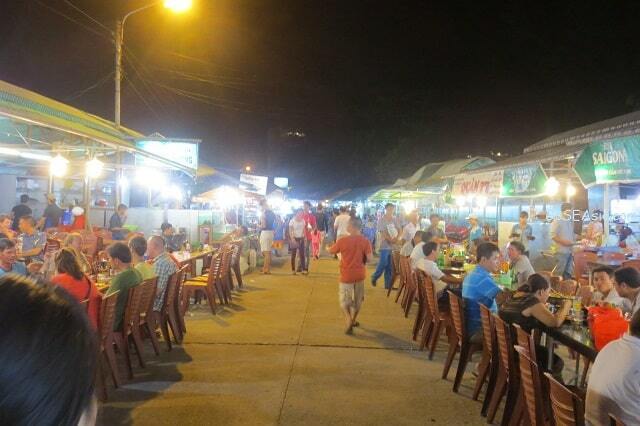 The Dinh Cau Night Market is a popular place to shop, which should not be missed. Here you will find fresh seafood, such as crab, kebobs or grilled oysters! A large gift shop is located on the road to the south of Duong Dong Town at Long Beach. They sell a wide variety of souvenirs, pearls, jewellery and art. There is also a fairly extensive museum at the left side of the store. It contains an interesting collection of articles by Vietnamese pottery, animal skeletons, old money and much more. There is a wide range of available souvenirs. For the last purchase you can also visit the airport. Here you postcards, books, cards, t-shirts, hats, beads and other jewellery purchase. And of course the specialty of Phu Quoc, the fish sauce. If you need to change money, which is in the arrival hall. If you are looking for the better job, the pearl farm is a good option. 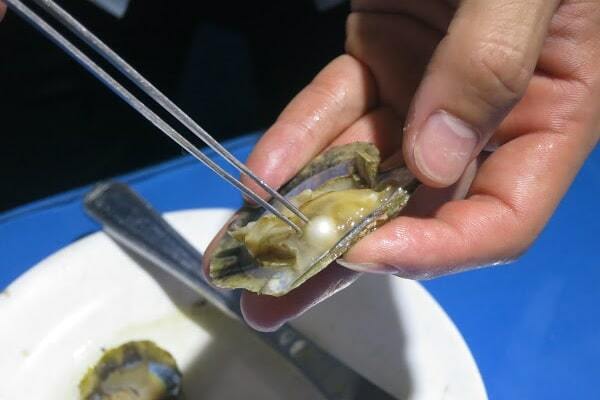 This pearl farm is run by a company from New Zealand and is located in Duong To Village, which is located about 9 kilometers south of Duong Dong. Follow the dirt road, which you must follow after Long Beach. Here are some notable pearls and information about the history of growing the pearl on the island. You may find the prices reassuring, judge for yourself! There are plenty on the island pearl shops where you can make your move. All priced beneficial. Most of these stores can be found in Duong Dong and near the Saigon Phu Quoc Resort. In the shops you will find a wide variety of jewellery with pearls, such as bracelets, necklaces, earrings, rings and much more. All at very reasonable prices. Another good product of Phu Quoc fish sauce. Unfortunately, you can not take that with you into the plane. Many airlines forbid carriage of liquids. About fish sauce, if you are on Phu Quoc, you must bring a visit to one of the many fish sauce factories. Phu Quoc is also known for its black pepper. There are three farms which you can visit. Of course you can also buy black pepper. Phu Quoc National Park covers more than 50% of the island. So it is definitely worth considering to visit the Park. Especially if you want to escape the heat of the day. A walk through a park or a motor ride on one of the roads in the north, is a taste to explore the natural environment on Phu Quoc. A total of 208 species in the National Park, where among 28 mammals, 119 birds, 47 reptiles and 14 amphibians. Of these, six species belong mammals, four birds and nine reptile species to the endangered species. The rare species are lorises (prosimians), the long-tailed macaques, silver langur, otters and hornbill. There are many temples and pagodas to visit Phu Quoc. Here is a list of the most important temples: Dinh Cau Temple, Cao Dai Temple, Nguyen Trung Truc Temple, Muong Su pagoda, Sung Hung Pagoda, Ho Quoc Pagoda, Sung Duc Pagoda, Phap Quang pagoda and Dinh Ba Temple. The rainy season is from May to October, while the high season from April to May. 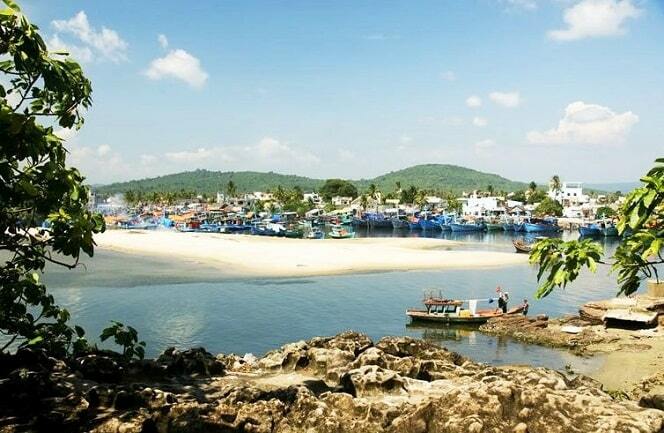 The best time to visit Phu Quoc is from November to March when the temperature is right and reaches about 30 degrees.